The Romans were the first people to create a city where Lincoln now stands. The Roman artefact collections are extensive and include a mosaic found on the site of the museum. Ideal for two classes, but can be booked for one or even three. Includes a tour of the extensive collection of Roman artefacts, a selection of crafts and a visit to the Big Dig. We can adapt the day to suit your needs. We do a bespoke timetable for each group (running from 10am to 2.30pm), for smaller groups fewer but more in-depth activities are normally arranged. Ideal for a single class. This consists of an introductory session followed by two sessions lead by the Investigate team and a craft activity lead by your staff. 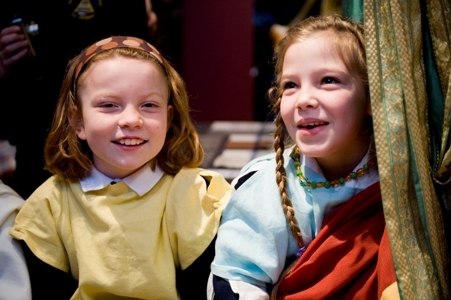 The sessions you can choose include Roman shopping, Roman clothing, Boudica drama, Roman Army, excavating real and replica Roman items in the Big Dig as well as a Gallery Tour. 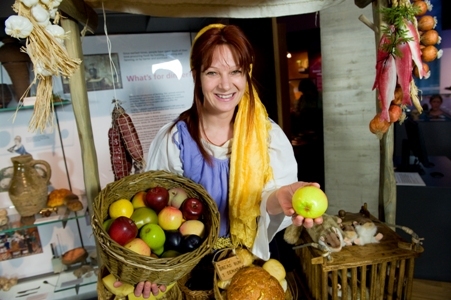 In the Roman Shopping session you will discover what the Romans ate, how they paid for their food and an opportunity to shop at a Roman market stall. 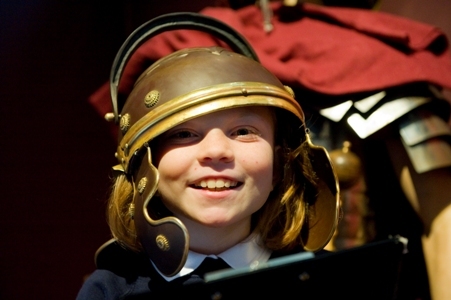 In the Roman Army session the children handle replica army equipment and learn to march like a Roman soldier. The objects you can make in the craft activities include a giant mosaic they can take back to school, a Roman pot, Roman jewellery and a Roman shield. Find out about everyday life in Roman Britain and Roman Lincoln through handling and looking at real and replica objects. Activities include a tour of the Roman artefacts, making a clay lamp or face pot, and a visit to the Big Dig where children can discover Roman objects for themselves. Booking your visit is easy, please contact a member of the education team. To find out how, click more. Loan boxes are available for all the subjects we cover. The boxes contain a mixture of real and replica objects for handling and display together with information, photographs and suggested classroom activities supporting Key Stage Two curriculum, but can be used with any age.